Lack of curb appeal. Every seller should understand the importance of curb appeal. A negative first impression can offhandedly turn buyers away quicker than almost anything else you can do. Instead of giving the property an honest look, you will have to wow buyers just to regain their interest. Improving curb appeal can include a handful of important items ranging from the condition of the yard to the quality of the front walk. If you have been working on a property for weeks it is easy to overlook a number of these items. Ask a friend, or someone you trust, to drive to the property and write down the first three negative things they notice. These will be the same three things that potential buyers will notice as well. Many of these are relatively inexpensive and easy fixes but are essential if you want to generate interest. Listing too high. The listing price is the leading decision point in property transactions. You can do everything else right but if you are listed too high you won’t have demand you anticipate. A good barometer to gauge if you are listed too high is the number of showings you have. With only a sprinkling of showings it is a good bet that either your marketing or your list price is flawed. If you have numerous showings and still have a lack of offers there is something wrong either in your presentation or with the property. Listing too high is a popular mistake with sellers working without a real estate agent. They think they can list high and meet buyers somewhere in the middle. That thinking is outdated and doesn’t work in this market. You need to list at fair market value and create demand with showings. 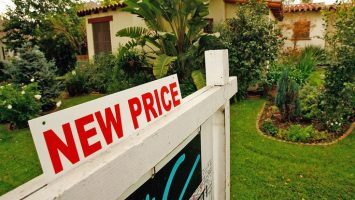 Listing too high will cause your property to become stale, eventually leading to a price reduction and a lower price than you anticipate.